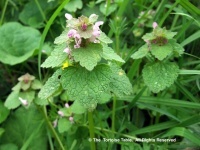 Deadnettles are safe to feed to tortoises, as are other members of this family (see Yellow Archangel and White Deadnettle). 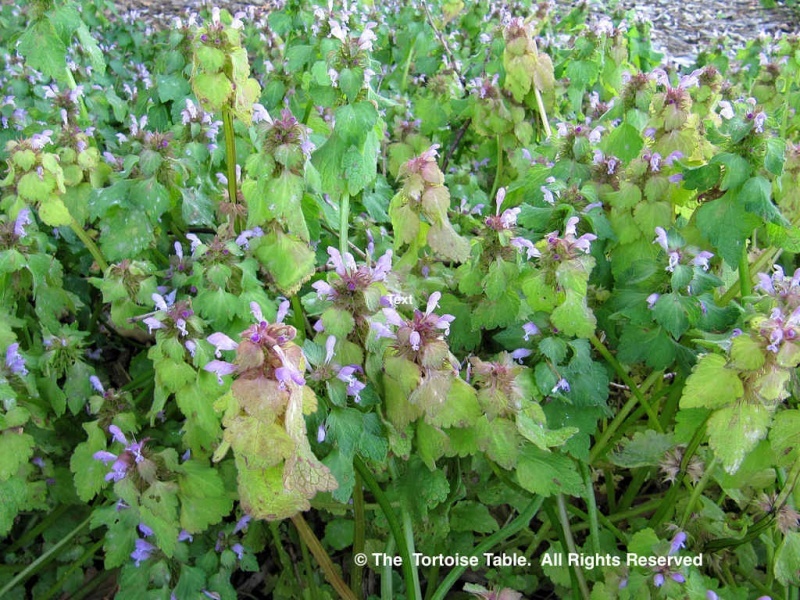 The Red/purple deadnettle grows and looks strikingly similar to a close relative, Henbit (Lamium amplexicaule) which is not good to feed in any quantity, so double check that you have the correct plant before feeding. 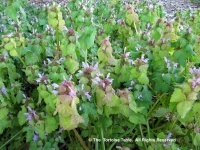 See Henbit. 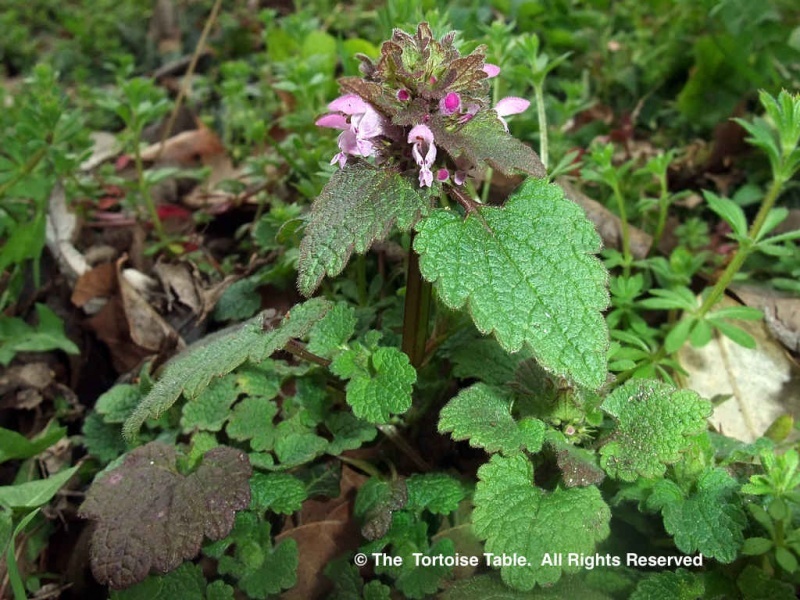 A feature which may help to distinguish Red/Purple Deadnettle from Henbit is that the leaves of Red/Purple Deadnettle are more triangular in shape and less deeply lobed than Henbit, are all attached to the stem by short stalks, and the upper leaves may be red/purple in colour. Although the Dead Nettle grows naturally in the wild there are several varieties that are cultivated and grown in UK gardens. 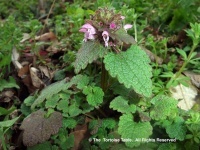 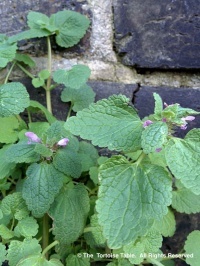 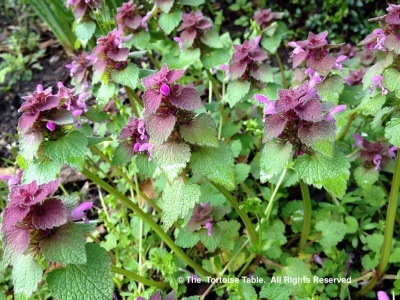 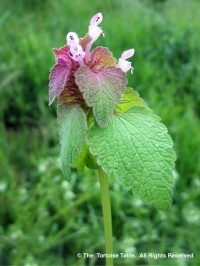 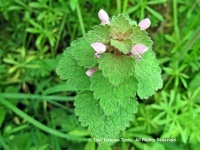 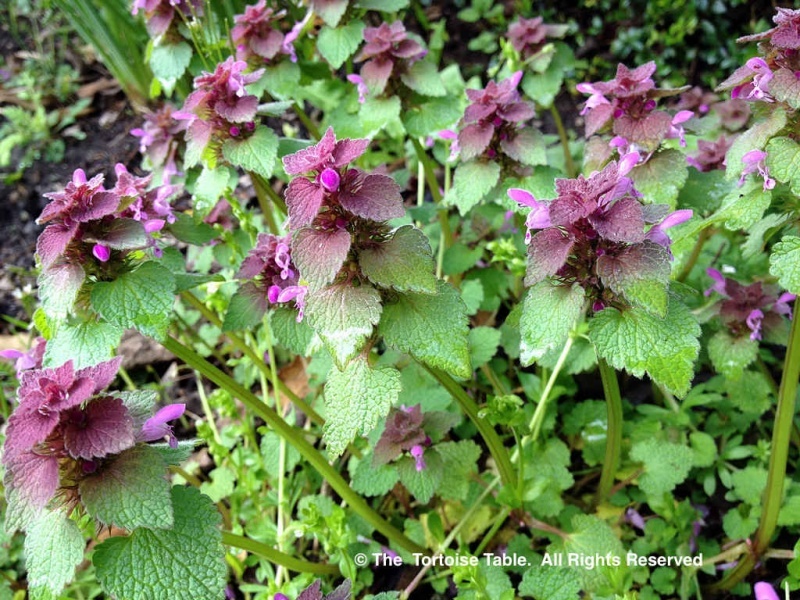 Do not confuse with Black Horehound, which looks similar but is a different plant.